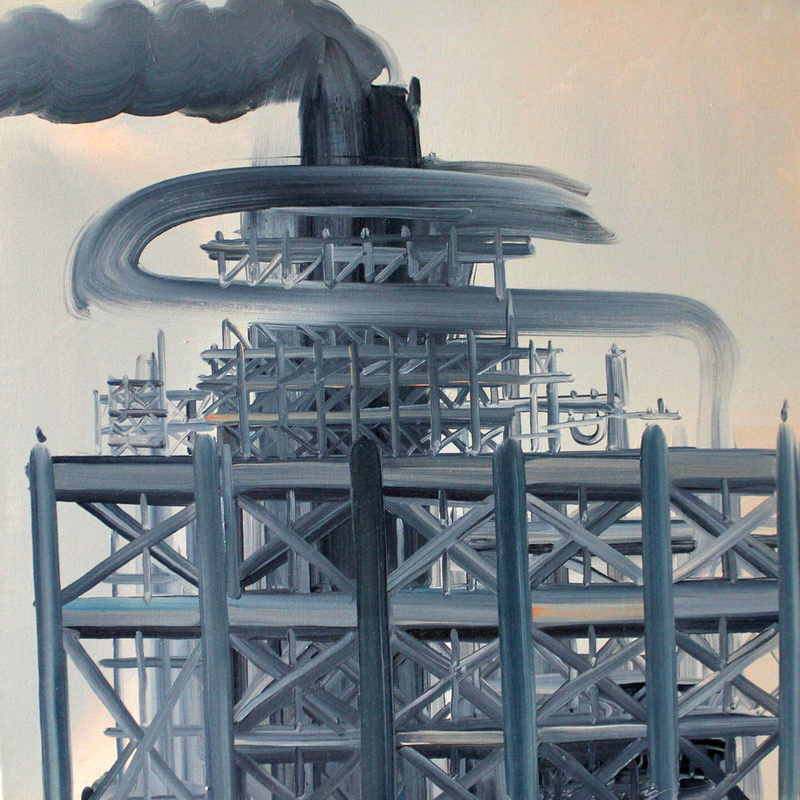 Bert Green Fine Art is pleased to present our second solo exhibition by New York-based painter Jeff Britton. Jeff Britton is a New York-based painter who is concerned with the relationships and intersections between ideas and objects. The artist explains that “It is not the subject which matters, but the translation of the subject into the abstraction of the surface … each object is unreal enough already, so unreal that I can only make it real by means of painting.” Manipulation of the reality and perception of objects does not require exotic depictions; ordinary things of daily life and our surroundings will do. Buildings, trees, sky, weather, and character study provide the source material for a transformative depiction of life via Britton’s expressive brushwork and penetrating gaze. Jeff Britton is also the father of Chicago Bears team member Eben Britton (#62), until recently with the Jacksonville Jaguars. We think this connection should make for a very interesting opening reception! In the Project Room is a group show of drawings by gallery artists: Jessica Curtaz, Scott Horsley, Raeleen Kao, Stephen Kaltenbach, Barron Storey, Shane Guffogg, and Wall Batterton. There will be an Opening Reception on Saturday, January 11 from 5-8 pm, a Closing Reception on Saturday, February 22 from 5–8 pm, with an artist’s talk by Jeff Britton at 6 pm during the closing. Gallery hours are Wednesday–Friday 11–6 and Saturday 12-5, or by appointment at other times. This entry was posted in Openings and Events and tagged art, Bert Green Fine Art, Chicago, Jeff Britton, painting. Bookmark the permalink.